So you may know by now that I like paper crafts, including gift wrapping. 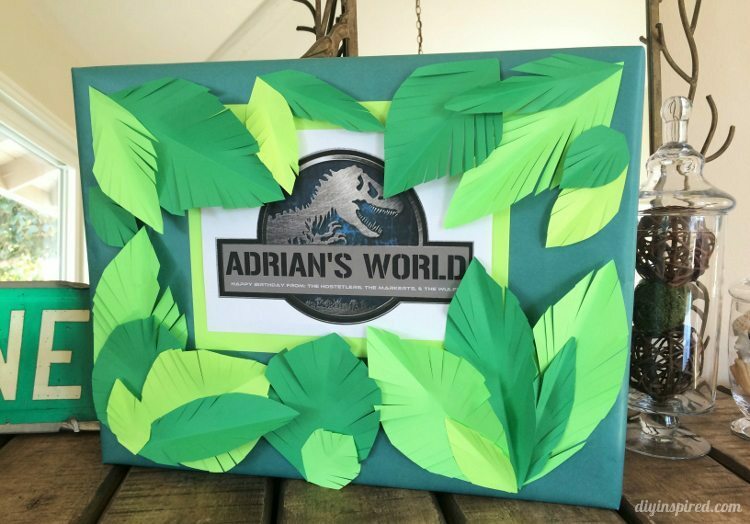 Recently I have shared Sponge Bob gift wrapping, Paper Flower gift wrapping, and Super Hero gift wrapping, and today I want to share Jurassic World gift wrapping I did for one of my favorite kids! I covered the top with paper leaves I made. 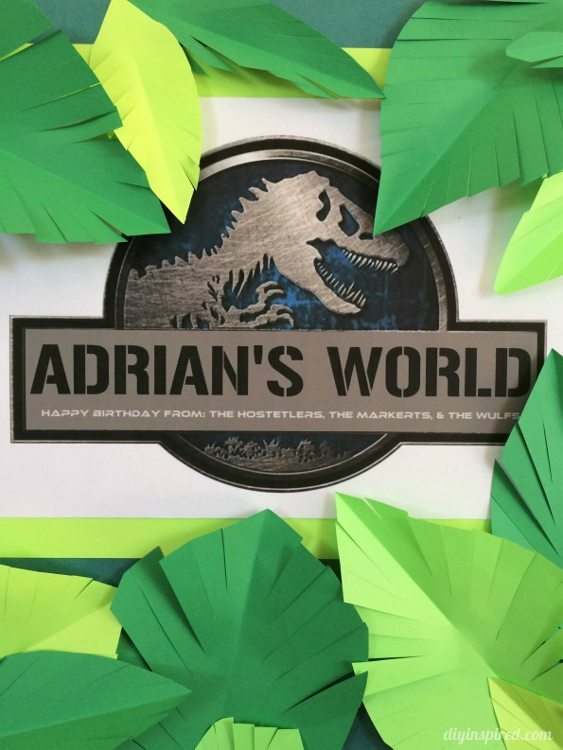 You can essentially use these leaves for a Jurassic World theme party or jungle birthday party. You can use them as table top décor, string them into a banner, or hang them from the ceiling. You only need a few supplies. 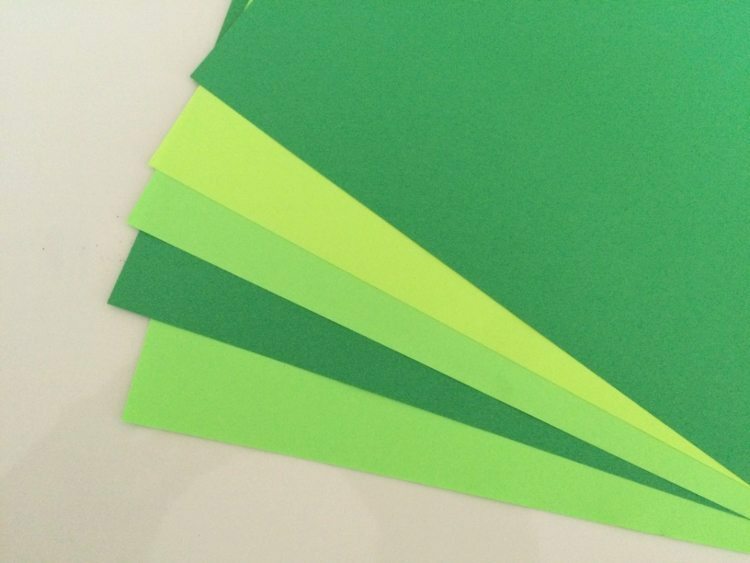 I picked several hues of Astrobrights paper in green. 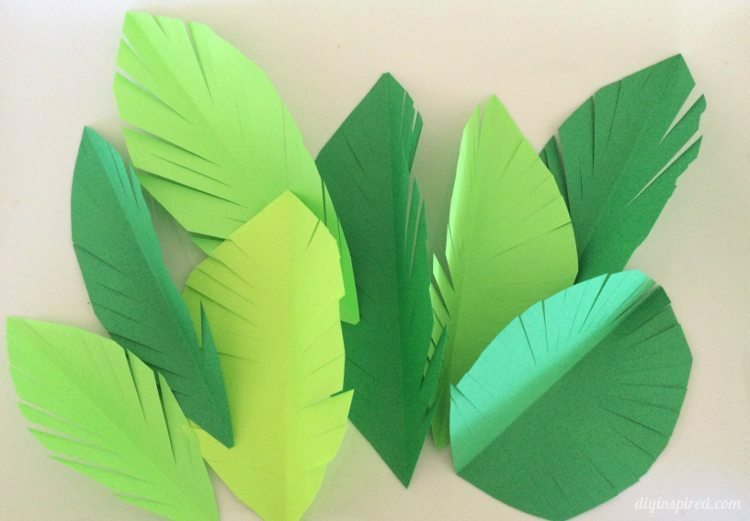 One piece of paper will make two-four leaves, depending on the size of leaves. 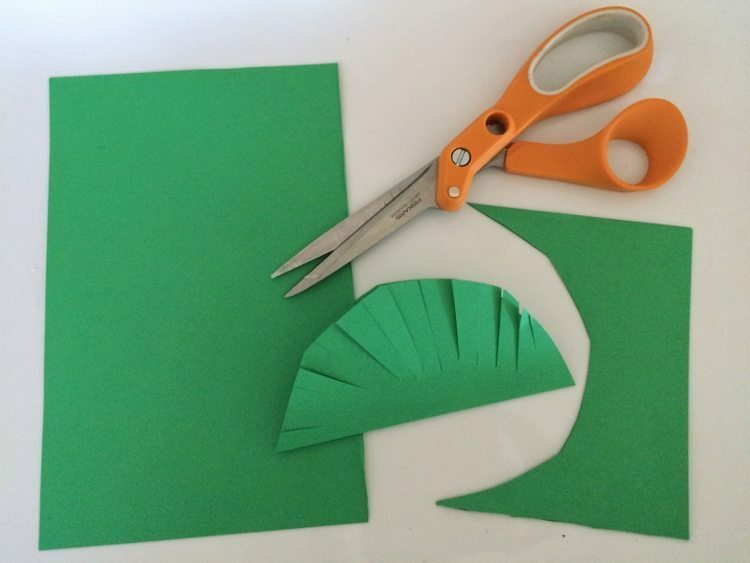 Simply fold the paper in half, and cut the shape of half of a leaf. Fringe the ends and unfold the leaf. Play around with the length. 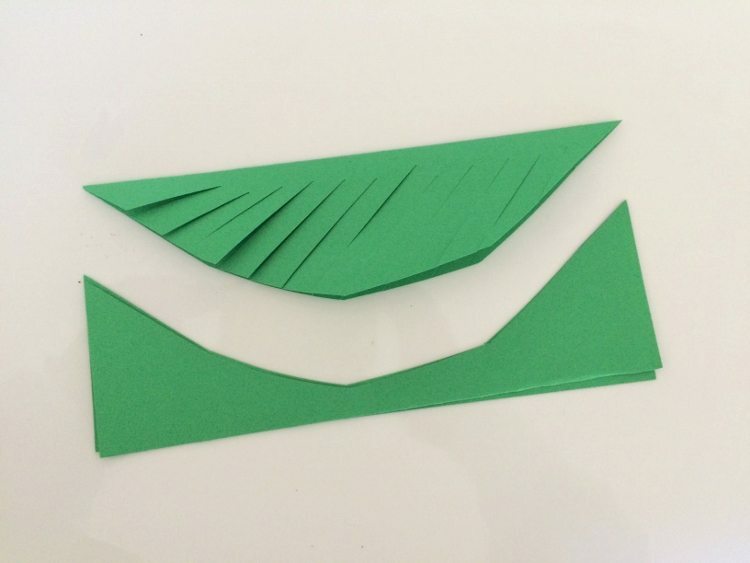 You can make different sizes and widths to fit your package. I free handed it with several colors, and arranged them afterwards. 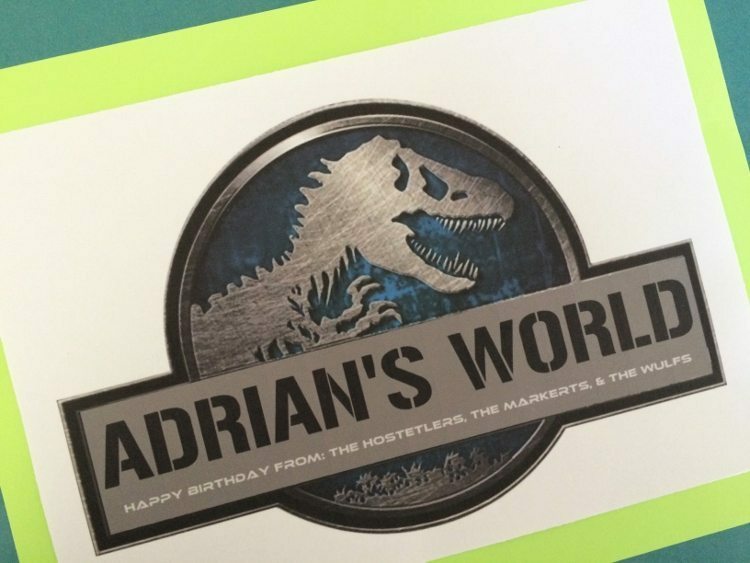 I also printed a Jurassic World logo I found online and changed the writing for the birthday boy, Adrian. I print and cut it out and placed it on top of the wrapped present. 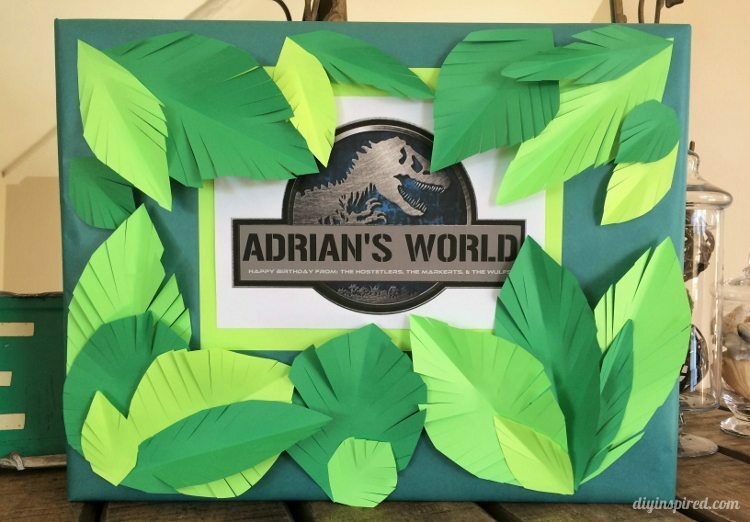 One the sign/card was glued on, I played around with the arrangement of the leaves. Once I was happy, I glued them on. I only used about 6-7 pieces of paper. The birthday boy (and his parents) thought it was so cool. I hope you like it! 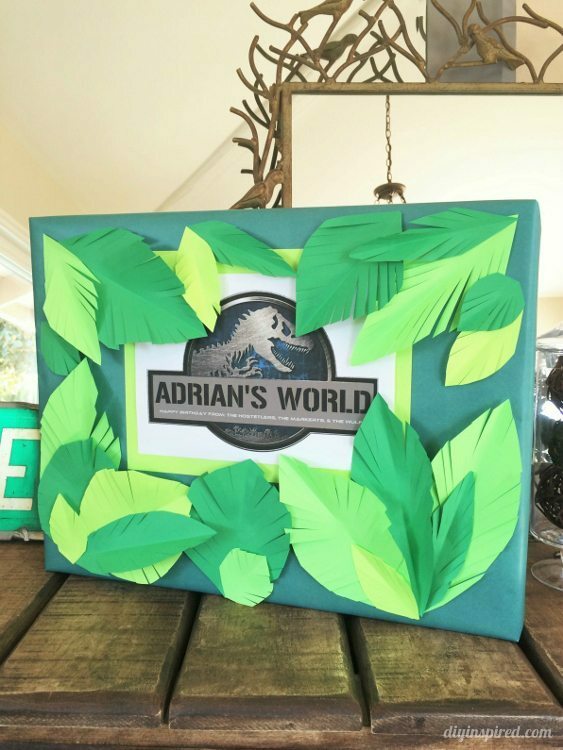 Be sure to check out my other creative gift wrapping ideas.